BeefEater 3000E BS19952 BBQ Grill Integrated quartz start ignition, Integrated convection roasting hood, Vaporizer grid and reflector system with anti flare technology, Durable rust resistant cast iron cooktop. Built-in brilliance means you’re the boss at home. Featuring solid, easy clean, no fuss porcelain enamel construction with rust free cooktops, this 5 burner ripper delivers great performance whilst adding value to your outdoor entertaining area. 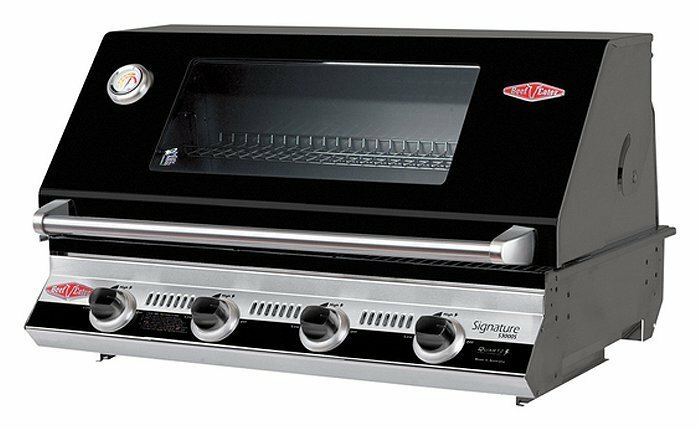 The BeefEater 3000E BS19952 BBQ Grill was added to the BBQ Grills category in January 2017. The lowest price GetPrice has found for the BeefEater 3000E BS19952 BBQ Grill in Australia is $1,095.00 from ozappliances.com.au. Other merchants who stock it are ozappliances.com.au, Bing Lee, Appliances Online.